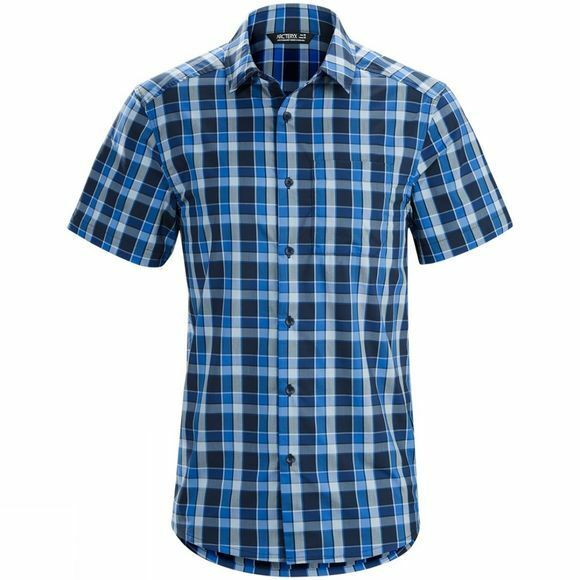 The Arc'teryx Men's Brohm Short Sleeve Shirt is designed to handle hot summer days and weekend road trips. Made from Dafoe fabric, a light and airy cotton blend, the shirt delivers the soft comfort of natural fibres, but includes enough polyester to provide moisture-wicking performance. The fit is relaxed, and the fabric provides comfortable stretch. The shirt has a subtle pocket detail, clean, finished seams and shaped back hem that improve its casual style.